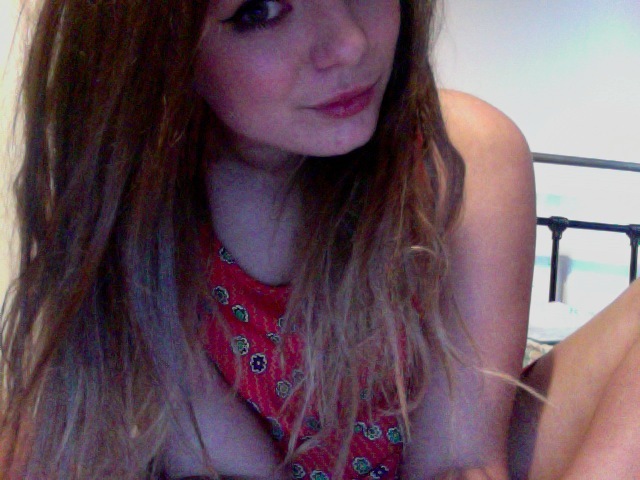 old photo, but im currently topknotted & pj'd up! 001. Went shopping with my mother day, like we do most sundays! I ended up buying a load of makeup, I say a load I only bought Bobbi Brown creamy concealer, Chanel Mat Lumiere foundation & some MAC mineralise skinfinish natural. I reccomend and use all of those mentioned, I hardly buy makeup anymore apart from concealer/foundation/powder/mascara. I have rather large stockpile of MAC makeup, some I use some I don't. I always say one day I'll part with my "collection" aka hoard. But I know I wont. I've been a religious MAC user for shadow and blush for as long as I can remember! I used to not believe people when they said makeup lasts for years, but my first ever MAC eyeshadow (All That Glitters) is still going strong! 002. So nice to see so many people entering the Dixi giveaway! I don't normally do giveaways, but when I was approached to do this one I was pretty chuffed with the prize and KNEW you guys would love it too! It's been such a massive success so far! 003. I am off on holiday on the 17th June, Which is coincidentally the day of my Final Show at university. I'm really gutted I'm missing it but at the same time I cannot wait to go on a holiday! I wasn't actually supposed to be going, but after a long story (and paying for some of it myself!) I was able to go! I'm going with my whole family, which should be a challenge in itself! But I'm keen! Oh sun, sea and mojitos! If you have been following the blog for a long time, Im going to the exact same place I went last year! Haha! 004. Currently all the small rings in my shop, including the three natural stone rings are free shipping (UK only!) and the five's are back in stock too! Anyone who pre-ordered a five pack should be sent on Monday! Really sorry for keeping you waiting! Zoe linked me on her Youtube so they went so quickly even though I got a ton of stock in last time! Fingers crossed this lot will last! As I'm probably not getting more in till after I get back from my holiday mentioned above! Am still undecided about Chanel foundation. Sounds like you've got a great stockpile of fantastic makeup. Have fun on your vacation, sweetie! i absoloutley love your blog, Lily! I know I generally don't comment but I will definately start after I work up the courage to start a blog of my own. :) So jealous about your holiday! Hope you have a great holiday! I can't wait til mine! I haven't tried the other two products you mentioned, but I have the chanel matt lumiere foundation and I would also recommend this too! Have a great holiday! I could do with some sun! cant waitt for my holiday either, i need to get on those sunbeds!! Eee, I remember when you went on your holiday, I loved your posts. I hope your taking your laptop again hehe. Have a lovely holiday... Mine is not until september but at least I have something to look forward too. Ha I so know what you mean - I hoard make-up too, as well as clothes. I just can't bear to part with them as one day I might just need them. Although, I have still never tried MAC, crazy I know. But I have recently been converted to Benefit, so maybe I'll have to try out some MAC products too. Also, that's fab news about getting to go on holiday, although that's a shame that you miss your final year show though, boo. aww is the final show where all the graduates display their major work? that's a bit sad that you have to miss that! but then, this holiday sounds amazing, im jealous haha. aiighht gonna go eneter that giveaway! Hey I love your style and I was just wondering as I am going to a similar area on holiday as you are soon if you would do what you are taking with you post. Totally understand if you have all your posts already planned or don't want to do it. I just thought it would be interesting and useful as i always take totally inappropriate choice of clothes when I go on holiday. mmmm counting down to my holiays too!